How can I download a Facebook Photo Album? As I said above, there’s no option to download a Facebook photo album directly from the site. But you can do this by using third party software.These software help you to download Facebook Photo Album in one click. One such software which helps you download Facebook photo album is Fotobounce. Fotobounce, is a simple and easy to use Windows application. It helps you download an entire Facebook Photo Album in a single click. 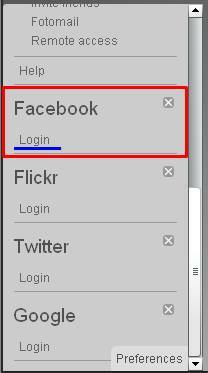 All you need is to login to your Facebook account from the software. From there one can easily download Facebook Photo Album; whether it be your own albums, friends, FB pages, or groups… You can download just almost any album. 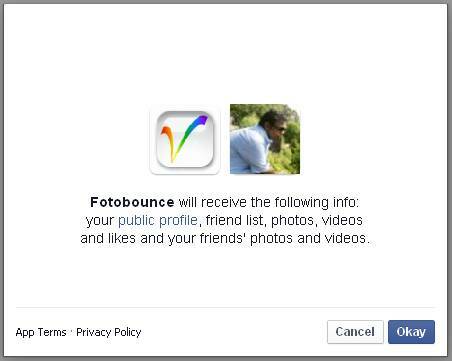 How do I download Facebook Photo Album using Fotobounce? Follow the steps shown below. 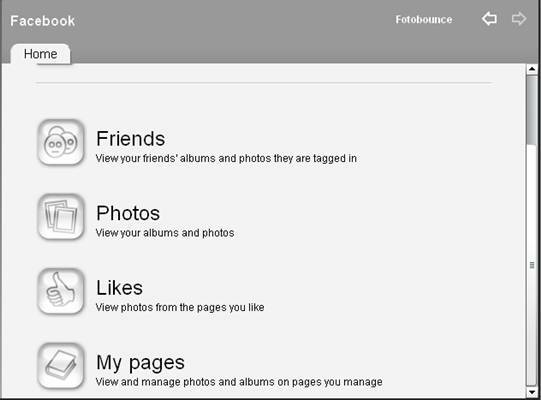 This will help you download Facebook Photo Album from Fotobounce. Download Fotobounce by clicking on this link. Fotobounce is available for Windows as well as for MacOS too. Open Fotobounce. The interface looks simple (if not clean) as shown in image below. To the left you’ll see different Internet services. You can download photos from these services. This includes Facebook, Flickr, Twitter and Google+. But for now, we’ll select Facebook and click on login. After you’ve logged into your Facebook account you’ll see the Permissions pop-up as shown below. Click Okay to continue. 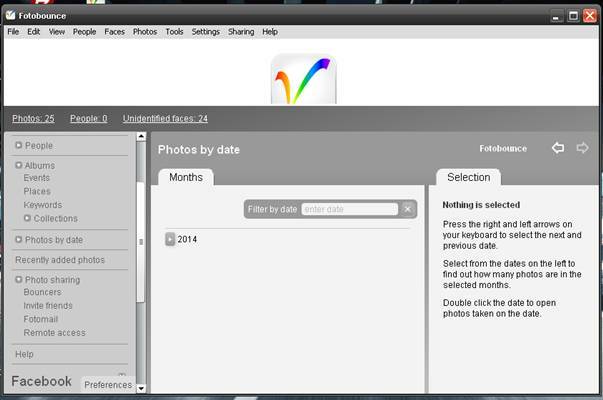 Inside Fotobounce, you’ll be greeted with 4 options to select from. 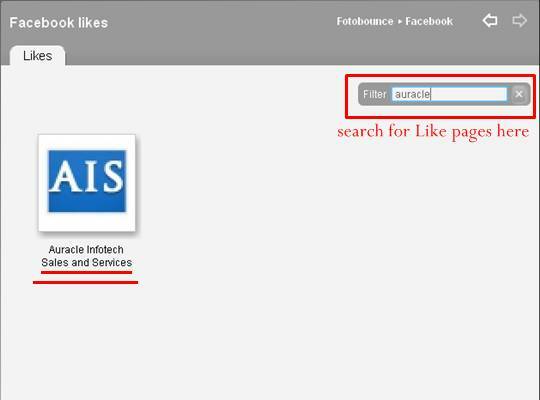 You can download Facebook Photo Album of your own profile, your friends, the pages you like and the pages you admin. See below picture for better understanding. You can select which photos you want to download and proceed. After double clicking on my page; it shows me all the album belonging to the page. Double click on it to view photos inside the album, else select an album (in my case, I’ve selected the Timeline album) and hit on ‘Download‘ option in the next pane. This will download Facebook Photo Album of my page Timeline. After completing some steps you’ll download your photos. But there’s a catch though, your photos will be saved in Fotobounce’s library and you need to open the software each time to view the photos. To save photos in your PC, look at the left pane. Click on Albums >> Collections >> Cover Photos >> Timeline Photos. 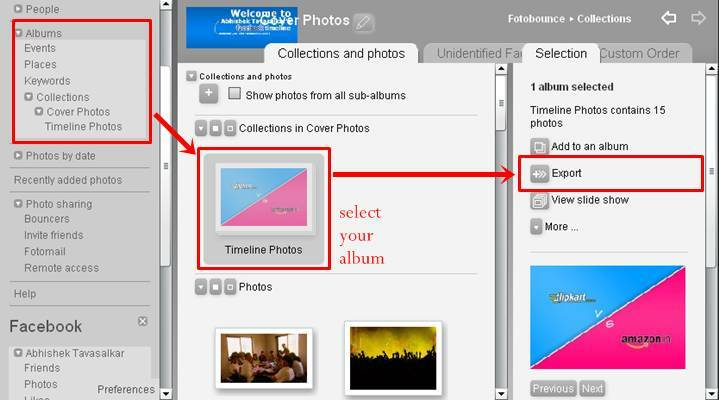 Select the album and click on ‘Export‘ to save the album to your PC. After you click ‘Export‘ you’ll be shown a window with certain option. Choose the option as per appropriate to you and click on ‘Export’ option shown below. And the album will be saved on your desktop. 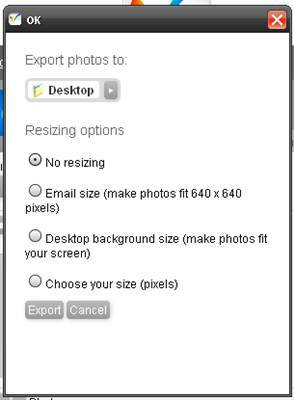 I personally prefer ‘No resizing‘ option and you should choose that do. So the photos aren’t hampered in any way by the software. Fotobounce even has an Android App. You can visit its Google Play Store page by clicking here. If you like the article, please do me a favor by sharing it on Facebook. And if you are a blogger please do share it on Twitter and Google+. I’d love if you guys could leave a comment below. Thank You! This is really an amazing one! Very nice trick will surely save our precious time…..
Hi Abhishek, thanks for sharing ti on Kingged.com. 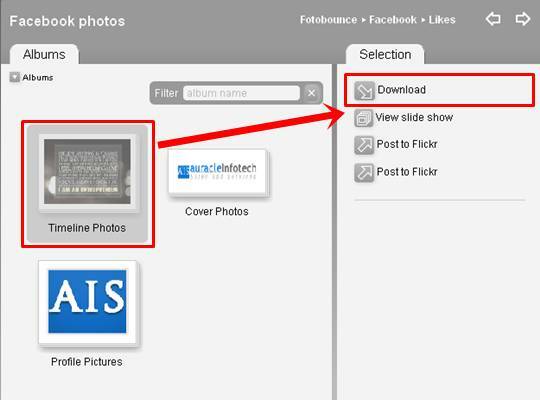 Although you have presented a good tool for downloading FB albums in some click through this tool. I would still prefer to use chrome plugins for this purpose. In my opinion, using some chrome plugin for downloading all images from Facebook would be better than installing a new software tool for this reason. Anyways, for other browser users, its a good tool to try for the same. Still, I would like to remind that make sure to change your passwords after the process, as it is a good practice to change passwords after using third party tools on Facebook to maintain account’s integrity and security. Really helpful article to download the photo album in facebook. Apart from video do you know any trick to download all videos in facebook?